So, this is how it feels. My second try on Ludum Dare, one Jam, and this Compo stuff… pretty nasty. You really need to know what you’re doing before trying to get a game done in two days. I didn’t knew by the way. It is really important to get a good overall package but sometimes, like happened to me, it just feels could be more than this. I started development on Saturday morning, my idea wasn’t even well polished inside my head, but somehow i’ve managed to finish it. Maybe not. I’m a graphic designer, so visuals are really important to me, knowing that I can deal with that in a short time. This is also pretty bad for me since my priorities are always Visuals – Audio – Gameplay (in that order) and maybe, with a little more emphasis on the gameplay part, I could got this game a little more complete, and with some extra things as extra lives or shooting aliens, powerups and those kind of things. The audio part of my game was special. Suddenly, i’ve remembered the movie Birdman, and that beautiful musical score from the great Antonio Sanchez. Then i’ve remembered i’m a self-taught drummer and the “music” for my game was finished. But well, this is it, i’m really proud of my brain, he didn’t exploded already. BTW, the image on the post is a… tada! free wallpaper! Ive got a lot of little features and states to implement if this is going to be a ‘game’. Last night was very frustrating, got stuck on several ‘minor’ programming bugs, or things with Unity I wasnt very familiar with, a few of which took an hour or two to fix. The last issue I managed to fix by am (I was refusing to sleep until it was solved)… then slept for 8 hours instead of the planned 4! 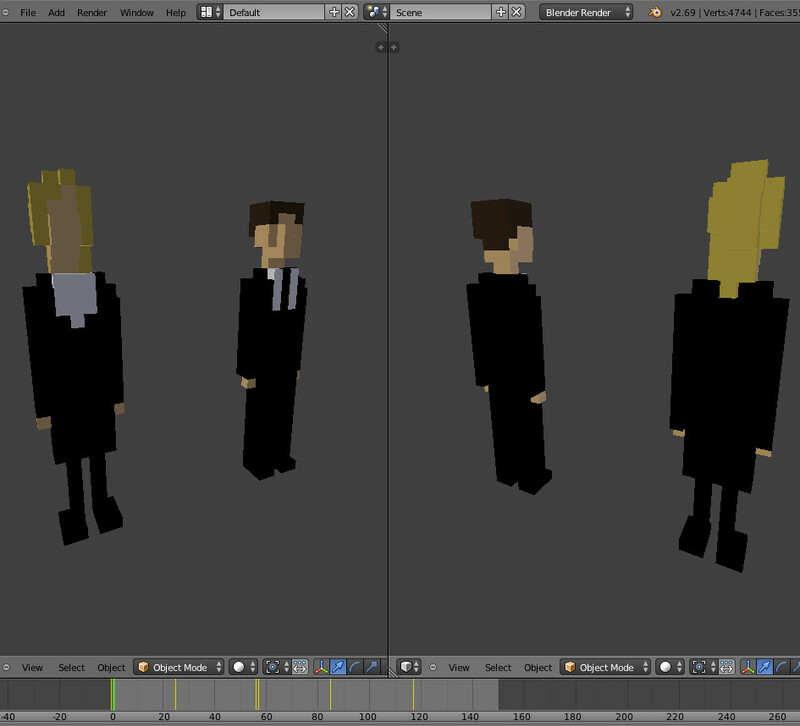 Thankfully the ‘pixelpeople’ (formerly ‘littlepeople’) are nicely implemented now. Ive probably spent waaaay too long on them… But they randomly walk around, occasionally contemplate life, scream and freak out when scary things happen and generally just look depressed. And they’ll soon be ‘utilized’ in the game sadistically properly. what does that green beam do? The open beta of Hello, Alien! is now available through itch.io! You might remember this game from LD30, if you have been one of the ~50 people who rated the game back then. We didn’t finish improving it within October, that’s why it will be in open beta for the rest of November. This still counts as a successful october challenge, or does it? You can pay what you want, which also includes paying nothing (if you really want that? ), so you have no excuse for not trying it out! Well, except if you are being abducted by aliens or attacked by bears. But we are thankful if you take the time to check it out nonetheless. We know bear attacks are really serious, so we’ll understand if you got no time. We still got a few more hours left in the jam. That we’re going to use to add more JUICE! Coming soon to a web browser near you. The game is based on the “10-second barrier“, which is “a term used in track and field athletics, which refers to the physical and psychological barrier of completing 100 metres sprint in under ten seconds.”. In this case you have to run 100 meters in exactly 10 seconds. And you are an alien! Randomly generated aliens. What the HELL was I thinking?! Well I got it working eventually, anyway. It picks random bits of image to stich together along with randomly coloured middle segments to help give more unique designs and aid memorability. Just got the game to do, now! Continuing on my artwork quest, this is Zita. She says hello also. So we settled on a story and gameplay style. I can say robots and aliens are involved. here’s a silhouette of our cast! Hopefully you will find them as amusing as we do. Since the first one seems only fun as an idea, not as a game (what was the last time anyone played Nibbles? ), I vote for the second one. So let’s start coding like hell! I wanted to finally post a link to a playable prototype of my flash game in progress. Make sure to click on the flash game window to give it focus or the keys won’t work! It uses all 8 control keys (1,2,3,4 & 7,8,9,0) and they are currently mapped to 8 random UFO actions right now. WHY? Because you are playing a slacker alien that wasn’t paying attention in your UFO Academy and now it is time for your 3 minute final exam to see if you graduate. You slacked so much you have no clue how the crazy thing operates. 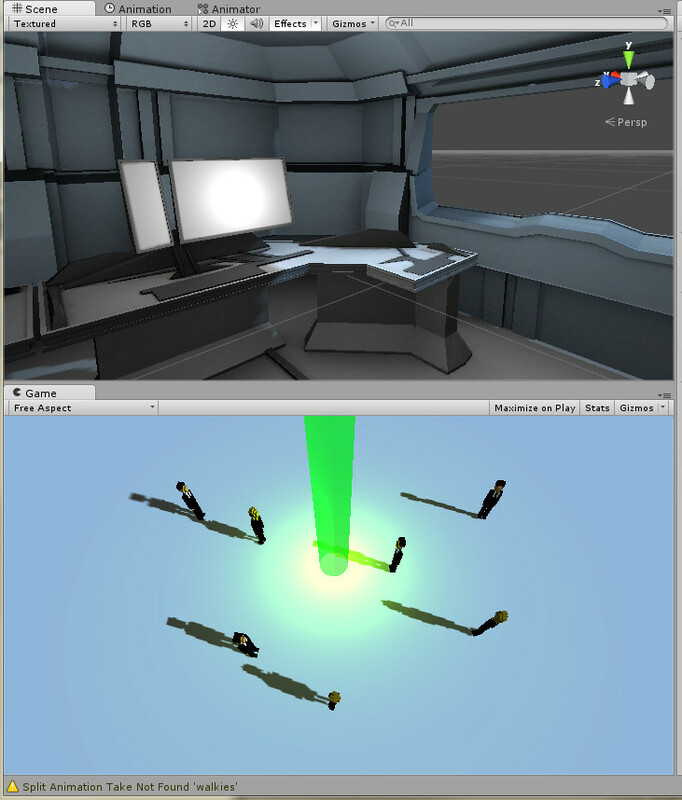 You’ll have access of four directions of movement, an energy shield, a death beam, and two different particle attacks. You must try your best to figure out how to annihilate as many humans, cars, tanks, jets, and helicopters as you can to see if you pass. 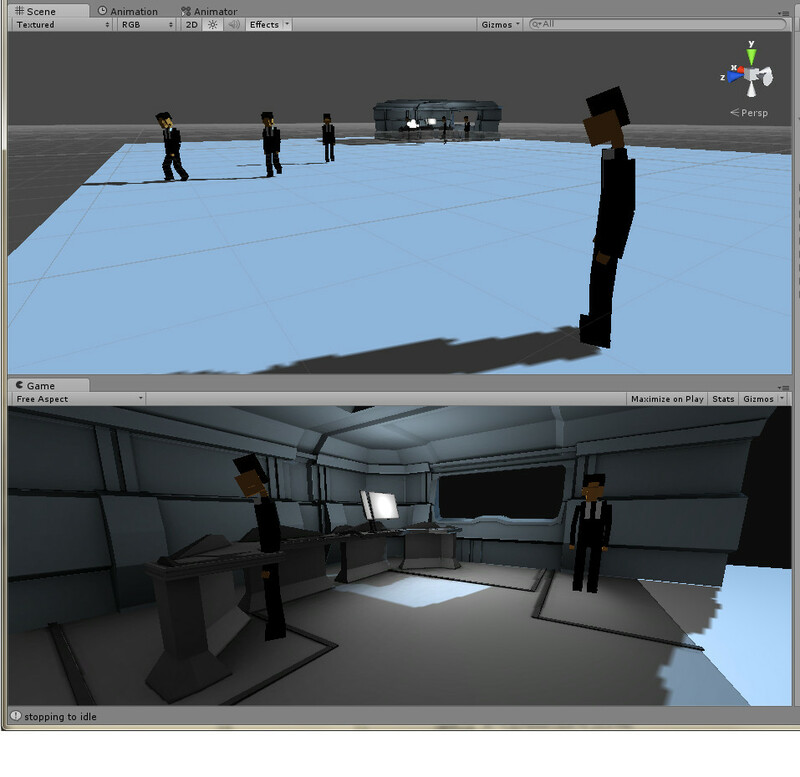 Currently using boxes for object art, no collision detections or scoring yet, and I’ve only implemented humans, cars, and helicopters behaviors. I’m quite happy with how they are moving around though. Yes.. plural. Been refining my idea a little. I think I want to keep it more fun and interesting by making hopefully 5 different cavern levels. Each with a slightly different theme and weapons and targets. Each level will have a short time limit (1 minute?) in which you’ve tried to use the levels weapons (stalactites, steam vents, rock falls etc) to take out any life forms. It will be a score based game tuned to encourage compelling replays and leaderboard competition. I am thinking of some various themes for the cavern levels which are like 1920s bootleggers, 1700s pirates, 2000 teen hangout, 20,000 BC cavemen/critters, far future theme. spacemen / aliens (future theme? I’m excited about this game so far. I think that with the variety of each cavern level having a different configuration of weapons layouts, path layouts and creatures with a unique theme it will be an amusing and humorous game. Now I just have to see how much content I can pull off in the compo time limit. I will attempt to get one playable theme first in case that is all I manage to pull off. I’m thinking I’ll go for 20,000 BC wrapper first because I can do many cave creatures as well as humorous cavemen for targets. Going to bed now. But I have a pretty good start for an awesome fun game. 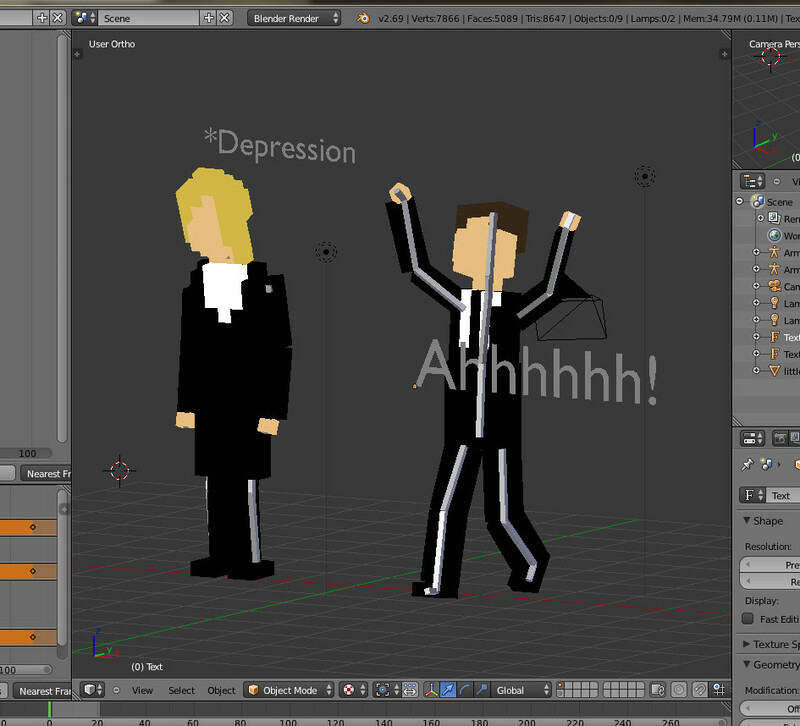 In addition I’ve managed to add one “enemy” (he is a helpless guy who runs around). Tomorrow I hope to have more challenging stuff and eventually build some levels. If I’m lucky I’ll get sound in. I’ll be using your friendly neighbourhood Python with my own game lib that lives on top of Pygame. Be using my pycatcher program for timelapsin’ again. Home grown yo.